After ending a painfully long train journey filled mainly with mixed feelings; I was sad to leave San Francisco firstly because of how much I loved it and because I was on my final journey before my incredible trip comes to an end. 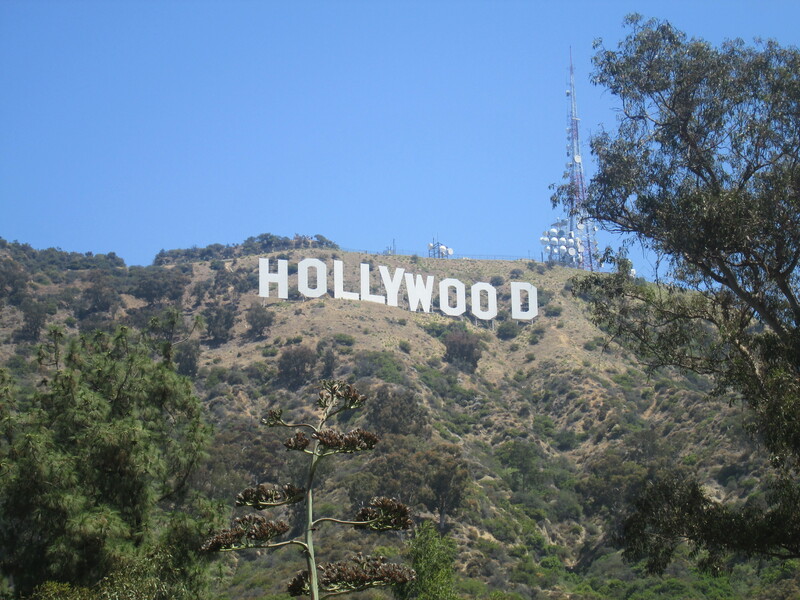 I was also excited to be moving on to Los Angeles, where a new city and a host of new experiences and people awaited me. I was also curious to see how I would feel about L.A. after three months of constantly being told that it’s not that great. Once at Union Station I caught the metro, the first of many surprises as one thing everyone had told me was that I would need a car to get around. 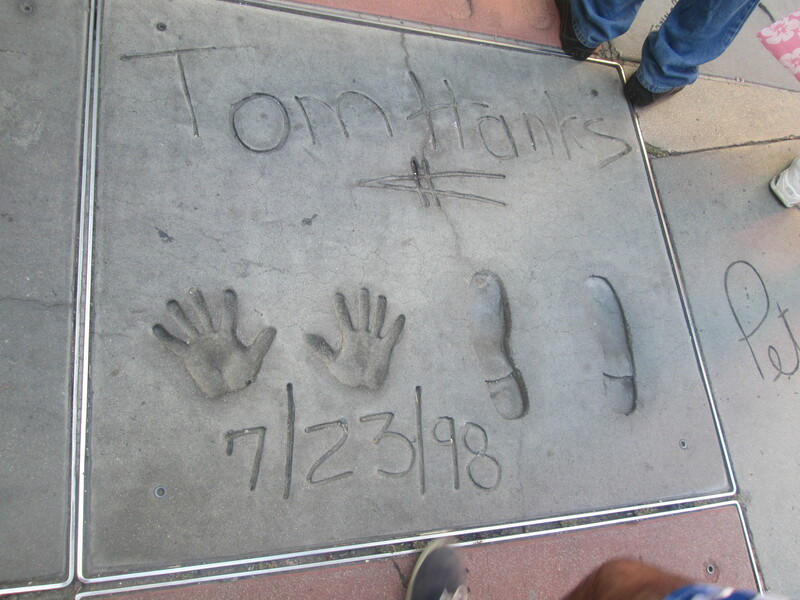 I took the subway to Hollywood & Vine, walked part of the Walk of Fame to my final hostel. I was meant to be meeting Nic, who I met in San Francisco at the hostel and we were supposed to go on the bar crawl. Once I arrived and had settled in though I realised how incredibly tired I was and we only managed one drink before I was ready to pass out. 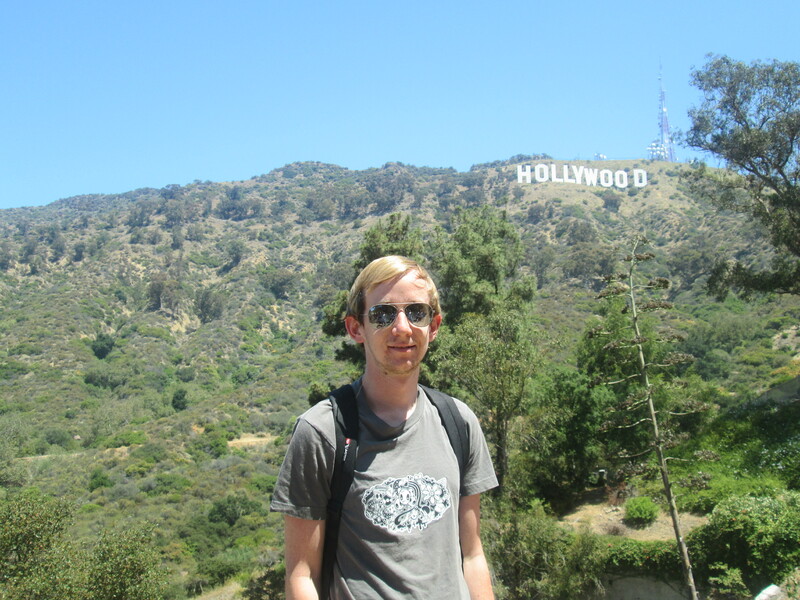 The following morning we had agreed to join a tour from the hostel to visit the Hollywood sign. We signed up and waited with the group of other visitors who were waiting to be picked up. After about half an hour one of the guys from the hostel came out and told us that for reasons still unknown our tour guide couldn’t make it but we were free to walk to the bus and then it was apparently easy to walk to. All of us decided we might as well head on down and see what happened. Catching the bus was the easy part, it was when we got off we were hit with the problems. A five way intersection greeted us and nobody had a map. Our saving grace was one of the Australian guys who got the GPS on his smartphone working and guided us up the hills. About half way up we all gathered together to discuss whether we should keep going or head back down. After a few minutes of uncommitted answers from everyone the majority decided to keep going. 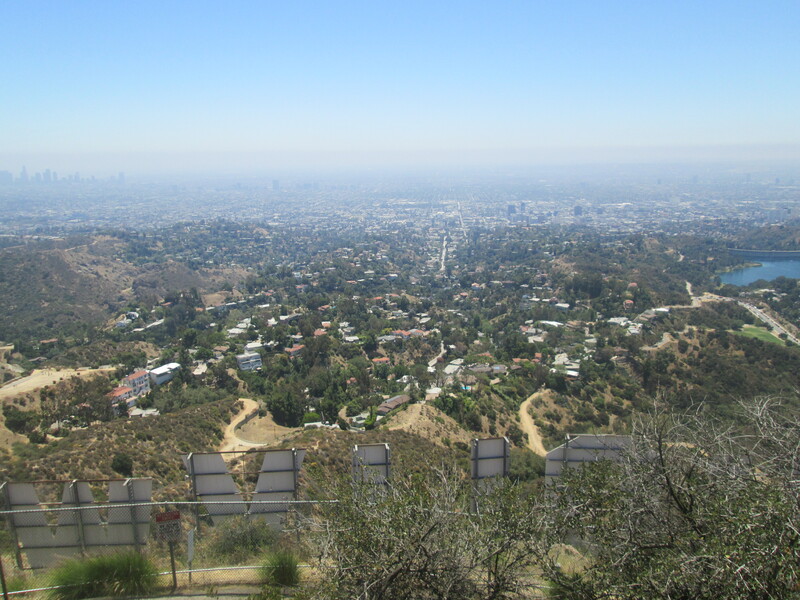 After another hour or so of uphill trekking in the heat of the day we made it above the Hollywood sign, the view from the top was awesome; you really get to see just how vast L.A. is and what people mean when they say you need a car. After a few minutes on the top we started to make our way down, which was much easier now we knew where we were going. 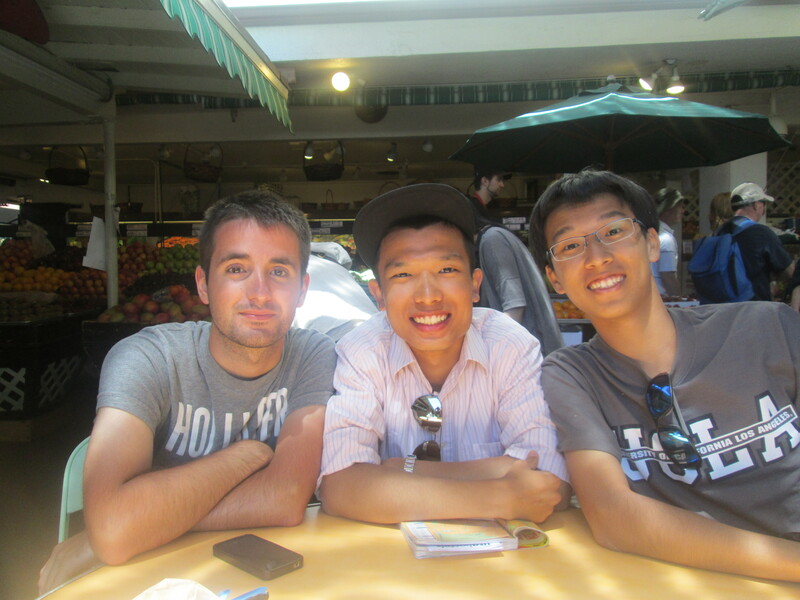 Once we made it back to the hostel and had enjoyed some lunch, we headed out with a couple of guys from Taiwan, Peter and Jim, to check the Walk of Fame and the Chinese Theatre. 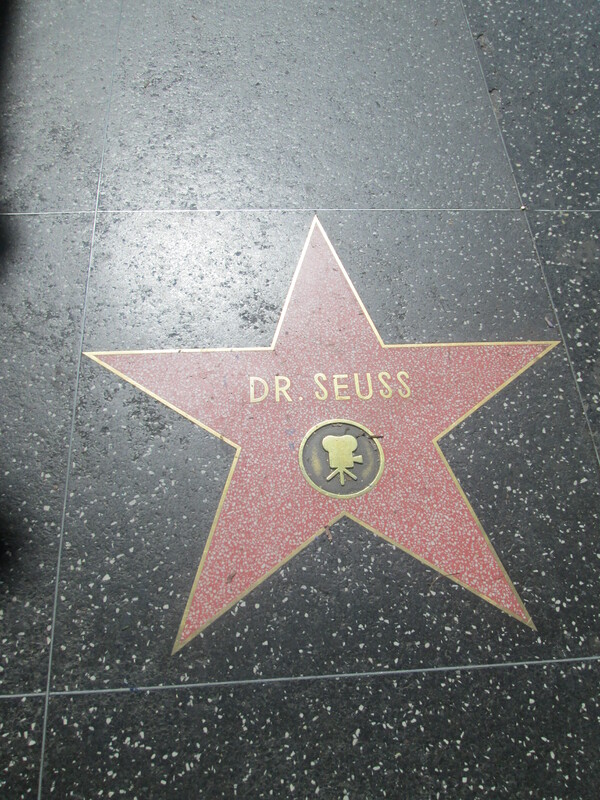 The stars run the whole length of Hollywood Boulevard and I spent most of the time trying to work out who these supposedly famous people are, but I was pleased that I knew more than Nic, Peter and Jim. I was also a little shocked to find Max Factor on a star. 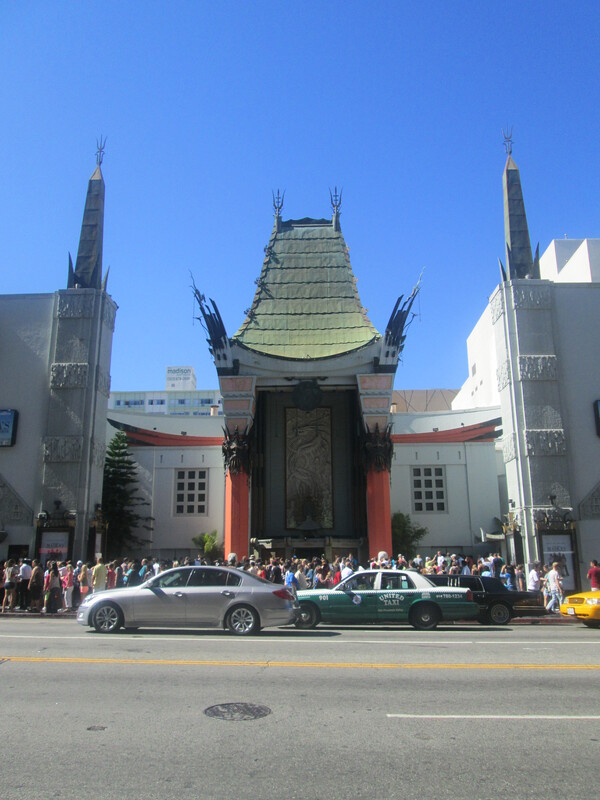 In front of the Chinese Theatre is the Hollywood Forecourt where many of the better well known stars leave their mark in the shape of their hand and foot prints and a signature in once wet concrete. By this point we were all feeling the effects of long walks in the sun and headed back to the hostel to chill out until the evening. For Nic and I, our evening was spent in what was quickly becoming a tradition for us; drinking too much. After a couple of games of beer pong and half a bottle of rum each it was safe to say that the following morning was going to be a struggle. 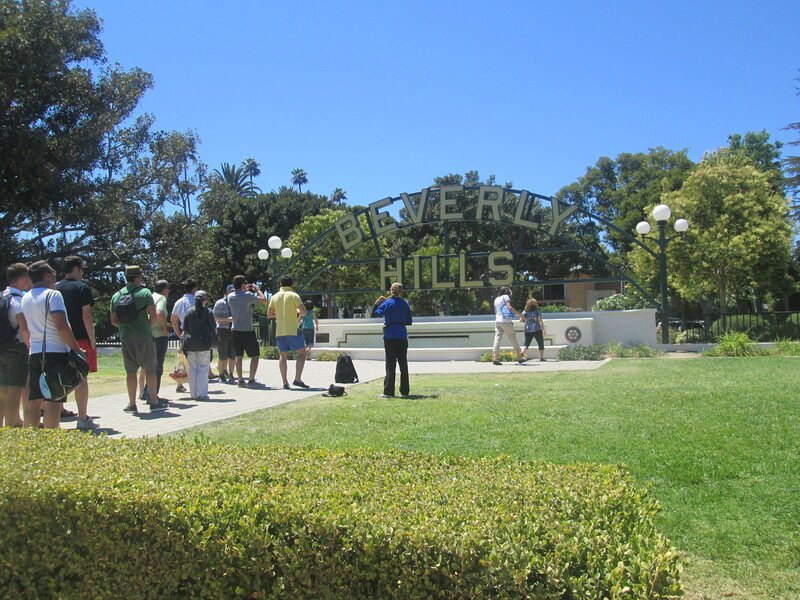 The next morning I was almost late for our rendez-vous to head over to Beverly Hills. Nic woke me up knocking on my dorm room door and I had a quick shower before realizing I was still drunk. Perfect. We found Peter and Jim and made our way to a farmer’s market where we picked up some fruit to try and ease the approaching hangover. The farmer’s market was cool, like many other market that I’d been to in the U.S. and we enjoyed a quick walk around before heading across the neighbourhood to the Beverly Centre mall. Peter and Jim needed to buy their parents some gifts, Nic and I were happy to tag along. 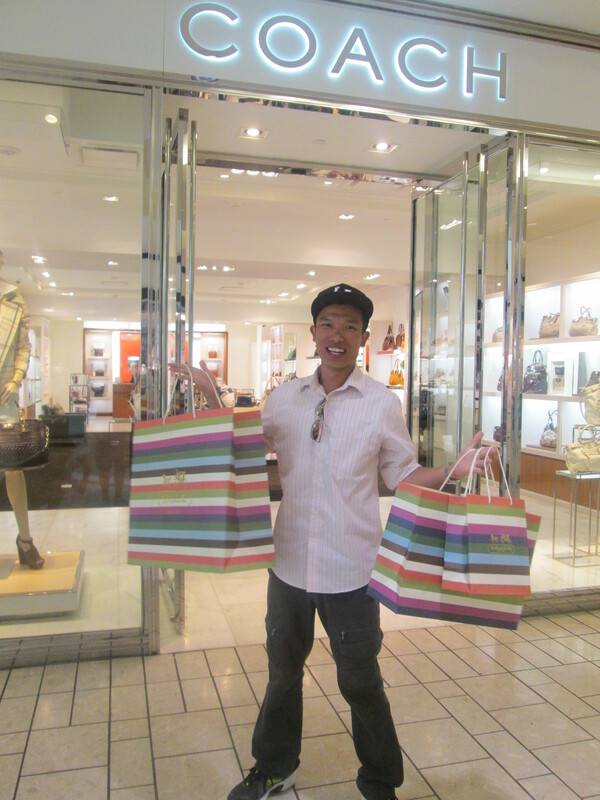 Once we’d had enough of the super-sized American Mall we headed onwards to Beverly Hills. We found the sign which I found particularly amusing as it was the first time I’d seen people politely queue up to take their photos with an iconic landmark rather than there being twenty people at once trying to get the same shot with their backs turned. 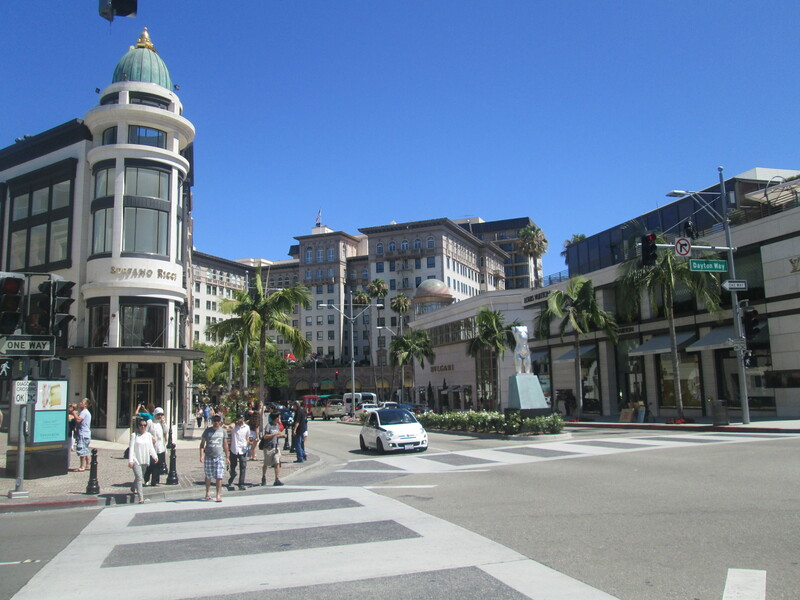 We took a walk down Rodeo Drive where fashion brands have their stores. I felt that we were somewhat out of place in shorts, scruffy t-shirts and flip-flops or broken trainers. Judging by the gents on the doors we would certainly not be welcome in the stores so continued to walk for a while before deciding that this really was a place for those with too much money.